Kevin expertly guided us through the home selling and buying process. He was knowledgeable, patient, trustworthy and thorough . His professionalism is impressive…his work ethic admirable…his personalized service refreshing…his caring and kind nature in unforgettable! We recommend Kevin to all of our family, friends and anyone seeking a dedicated top quality Realtor! Kevin was extremely conscientious regarding our needs. He listened to what we wanted and he worked diligently to find homes that would meet our strict criteria. Kevin had the for-sight to address potential set-backs before they became a problem. He was extremely professional in addition to showing his personality at the appropriate times. It was actually the most fun experience I have had purchasing home. In the end, it felt like he was a “friend” that walked my entire family through the house hunting process until we finally found the place we call “home”. I would, and have recommended Kevin to anyone in need of a Realtor. I will be sure to use him for any future real estate needs! When I think back on how Kevin represented both my mother and me in reference to the sale of our home, I am filled with huge amounts of awe and appreciation. He truly is not only a consummate professional, but he further shows his unending dedication to his clients and the pursuit of that which is best for the client…in this case, my mother, and then me. I was so amazed how Kevin handled the first attempted sale of the house, as I knew how difficult it would be considering my mom’s psychological and physical condition. He handled her with such great care and compassion, and yet he did everything in his power to offer her the professional advice she needed to hear. In the end, Kevin was gracious and wise in seeing that my mom was just not ready to sell. Some other agents, with their eyes firmly on the financial reward at the end of the process, would have pressured her to keep the house listed. But he was able to separate the desire to serve his client from his own financial gain/loss, and do what was best for the client. 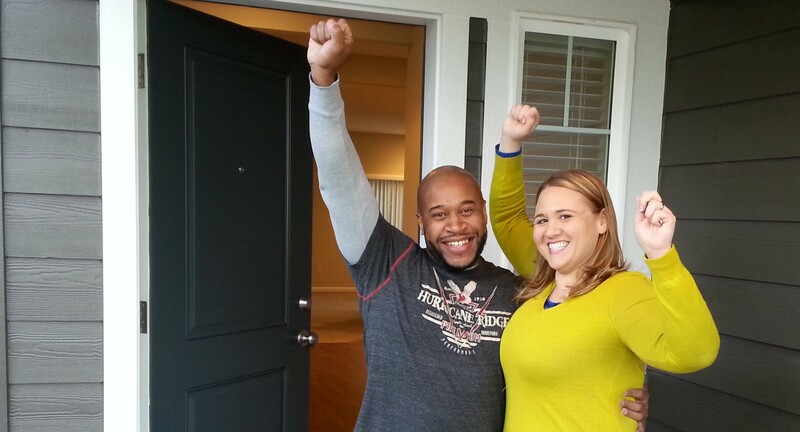 Allowing her to take her house off the market was such a huge relief for her. I know that you had already spent hundreds of dollars in advertising and expenses. After her passing in May, I can only say that his incredible service continued with me as his client. In a horrible market, he gave all the right advice and did everything he could think of to sell that house. Kevin knew how important it was for me to get it sold before the school year started. He even hosted a special Open House for the Golf Tournament. His navigation of the two offers we received in August was brilliant. Not only did I sell, but I got a much better offer than I expected! I was thrilled and was even more excited to see we would close the transaction right before school started! And then, as if that was not enough, he helped with all the closing details, such as helping me with the estate sale, which brought in a much higher profit than expected. All of the above was done with the most sensitive respect to my mother’s passing. With so many real estate agents out there looking out for themselves, I can only hope more customers will find Kevin and benefit from his incredible service and his deepest commitment to integrity and honesty! Kevin was very detailed and professional in the selling of our rental house in Sherwood. The first sale fell through and he had another one ready to go within two weeks! This was 2010 when the market was horrible….and we didn’t have to do a short sale. Anyone would be lucky to have Kevin market their home. Kevin Gorman contacted us back about a property within 20 minutes. We were impressed with his quick response and knowledge. He has been very helpful in explaining what the process is from start to finish. He was there with every text, email, phone call, weather condition, question and worry. He worked hard to find the right home for us. He truly CARES about his clients and their satisfaction. Call Kevin…you’ll be glad you did. Happy hunting! Kevin did a wonderful job. Very patient and sensitive to our needs. We were really looking for a special house. Kevin showed us over 75 houses!. He didn’t give up on us and we finally found the perfect house at the perfect price. Thanks Kevin! I would love to recommend Kevin to anyone looking to buy a home. Kevin was very easy to work with; very helpful and eager to answer any questions, no matter the question. He was always in communication with me and made great recommendations to you during the process of home buying. If you chose to work with Kevin you will see he has a great passion for helping you to become a homeowner. Kevin was easy to work with. He was patient, thorough and listened to us. Our desires were his first priority. He did a great job. Kevin provided superior service throughout the sale of my home and subsequent purchase of my new home. He answered all of my many questions and was a delight to work with. He was both professional and positive every step of the way. I am so happy I selected Kevin and strongly recommend him. Kevin was recommended by a good friend. He was enthusiastic, genuine in all aspects and fun to work with. As I was a first time buyer, he took the time to explain everything in great detail. Kevin made the process easy and he became a mentor and a friend. I was so pleased with the professionalism you displayed in our transaction. And, this complement is coming from my wife and I with over 50 years of real estate experience. Thanks again Kevin! Kevin has been a great resource to have in our corner! We purchased a short sale in West Linn and finally got the approval from both banks and are in the final stages of underwriting. Kevin went above and beyond our expectations, we asked Kevin to show us the house on numerous occassions to make sure it was the right one since it was about a 5 month wait from the start of the short sale process. Kevin also fought to have our property taxes lowered with the county, I don't know any other agents that would have done that. Very proffessional and friendly, I would highly reccommend him to friends and family. My first impression of Kevin is his honesty and integrity. We knew from the start that he would do the very best for us. Subsequent weeks have proven that to be the case. His attitude is very positive. Therefore, he helps you by encouraging you to keep your expectations at a realistic level while anticipating the best results. He is very knowledgeable of current marketing strategies and actively worked to present our home. In the past weeks I have perceived that Kevin's colleagues respect and trust him also. Kevin was very helpful and extremely personable. He helped us price our home competitively for the market and with thoughtful staging advice the house sold promptly at a top dollar. Kevin was very accommodating of our hectic schedule and met with us after hours to make sure things got done. He even came and watered the plants when were out of town. Overall, very impressed by his dedication and level of professionalism. We would highly recommend him to help you buy or sell your home.